My go-to brow filling product is Youngblood Brow Artiste kit (I ignore the flimsy tools and just use the powders). However, the palette is too big and inconvenient for travel, so I went looking for something smaller that doesn't take up important space in my train case. 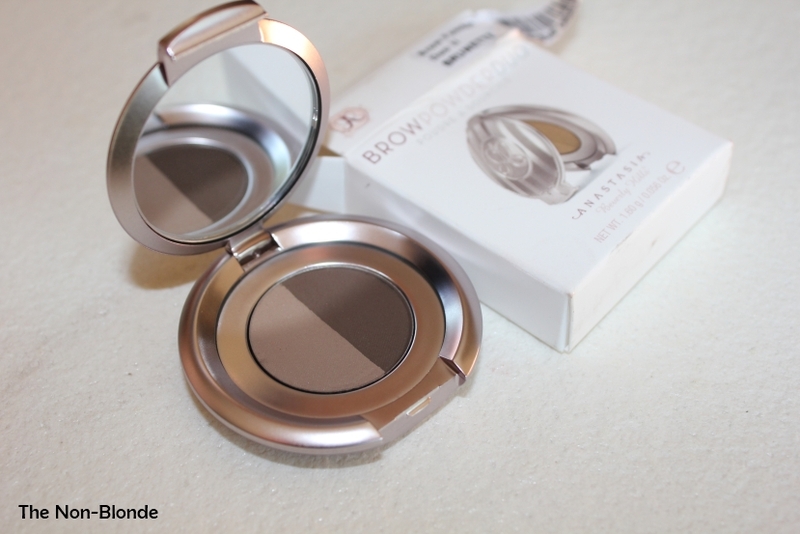 Anastasia Brow Powder Duo fit the bill: it's the size of an average single eye shadow. 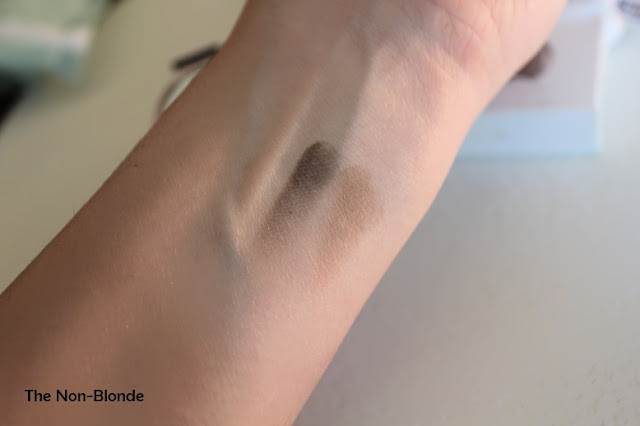 I had a bit of a hard time at Sephora (yes, I actually set foot at the store) deciding between Medium Brown and Dark Brown, but ended up deciding on the latter as the Medium Brown looked a bit too gray on me. 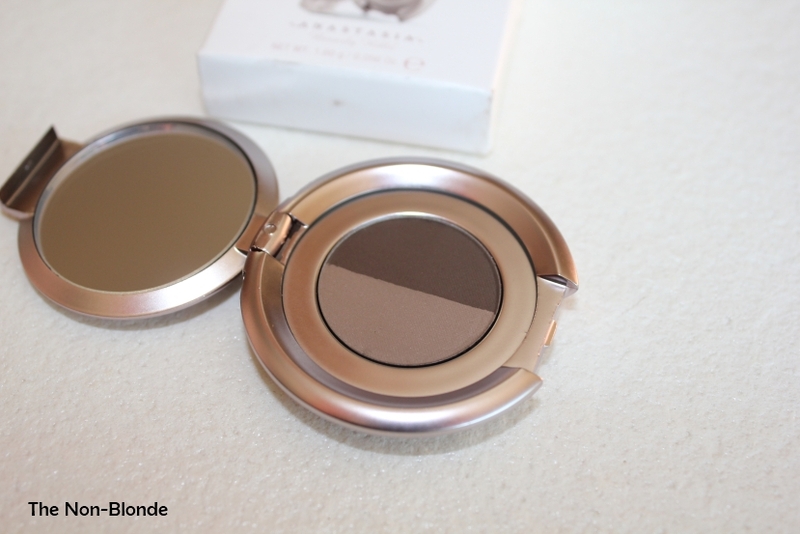 Dark Brown might be a tad warmer than I would have preferred, but I've figured out the correct ratio between the two shades in the compact (a cool taupish tan and a very dark brown). I apply it lightly just where needed and it's all good. Anastasia Brow Powder Duo is soft and pliable but doesn't crumble all over the place and doesn't require a setting product (my eyebrows are quite full but uneven, hence the need for a little correction). The product stays put all day and doesn't migrate. I still like my Youngblood set a bit more because the colors are a little lighter and a better fit in my opinion, but I'm probably the only one who notices the very minor difference. Bottom Line: a travel essential. Anastasia Brow Powder Duo ($22) is available from Sephora, online and in store. I've had my Anastasia brow powder in Ebony (cool toned medium and dark brown duo) for three years and it is still in excellent condition. True, I only use it to fill in the occasional bare spot and so it's not in daily use, but after all this time it has not dried out, become crumbly, or lost it's color. It still applies smoothly and lasts until I remove it at the end of the day. It's quite a little gem! I was wondering - which brush do you like to use to fill in your brows? Thanks! I bought the Anastasia set a month ago and since then I have been using the brow poweder in Brunette almost every day. My eyebrows are quite full as well but with the brow powder I can fill-in any sparse spots and it gives better definition to my brows. The brush I use is the Anastasia dual ended spoolie/angled brush and it works beautifully. I've had this product in "medium ash" now known as "medium brown" for a few years now (2?) and I still love it. It works just right for my brow color and complexion ... I am very pale (in the NW/NC 10 range if we're talking MAC) with medium brown hair (slightly mousy in its natural state). I find I can use either shade independently or both shades combined on my brows, and whichever way I use it, they look good and natural (unless I over-do it. I've been happy with this little powder duo especially because it works well used wet if you want more precision (good for filling in a sparse patch). I have the brush from Anastasia and it's serviceable. I don't think it's *excellent* - it would be a better tool if it were more precise, but it's a totally decent little brush.